Welcome to 27 Dogwood Dell!!! 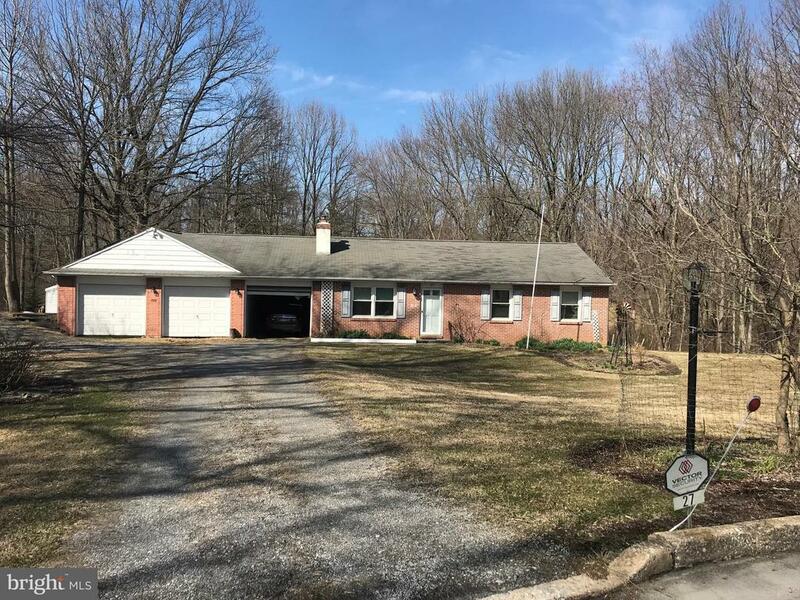 This 3 bedroom, 1.5 bathroom ranch is located on a gorgeous, quiet 1.4 acre lot on a cul-de-sac in West Brandywine Township. Original hardwood floors through out most of the house, updated windows, heating system, hot water heater, updated main panel electric, and an alarm system. Walk into the open floor plan with 3 nice sized bedrooms, eat in kitchen and a half bathroom off the master bedroom and a full hall bathroom. Walk out onto the covered porch with a beautiful view of the private, peaceful back yard. The basement is full and unfinished with a workshop with built in shelving. Three car garage with ample parking. This house has so much to offer!! !